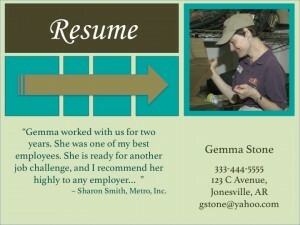 A visual resume is a resume that can present images and graphical information about the job seeker. This type of approach can offer an advantage to those with employment challenges, a reduced employment history, or issues with communication. For individuals who are subject to discrimination based on disability stereotypes, a visual resume can present positive images that can demonstrate the strengths of the individual, whether it is social or work performance. Visual resumes are beneficial because imagery is powerful. Graphics can paint a better picture of who a person is and what they are capable of. TRN’s Visual Resumes are produced in PowerPoint, a commonly owned Microsoft Office application. They are completely customizable and can be saved in various ways, depending on how you want to present them. Each template consists of several pages. For example, this presentation can be saved as a PowerPoint presentation, a PowerPoint show that self plays with narration if you wish, a pdf document, or even a movie. 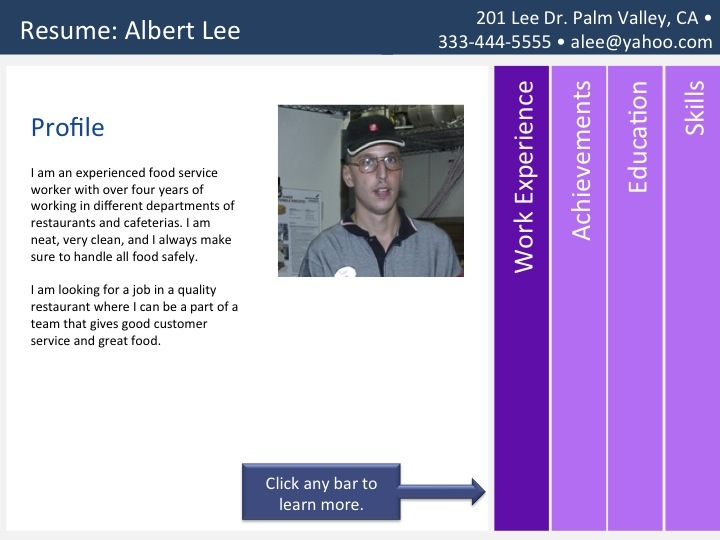 To view our current resume templates to purchase, click on Visual Resumes in our menu. *NOTE: Different versions of PowerPoint software can display text differently. If text in any template needs adjustment, simply change text size or enlarge the text box.